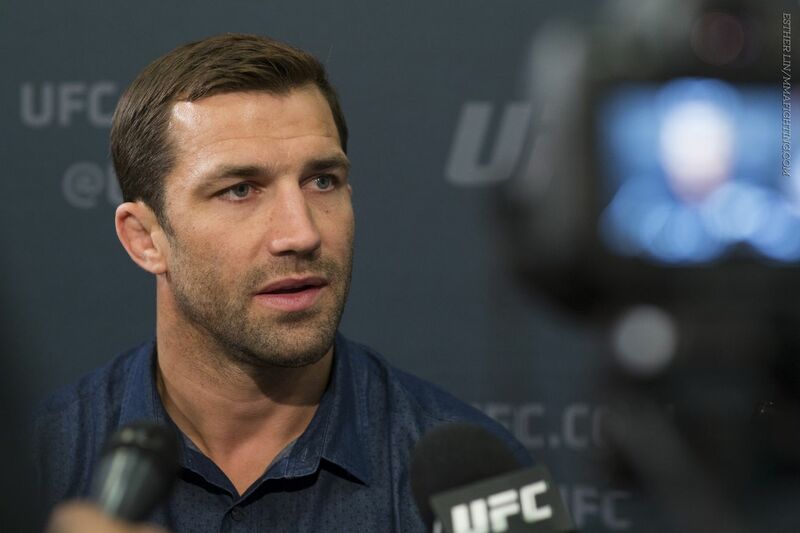 Luke Rockhold is still in limbo. More than a year after his last fight, the former UFC middleweight champion still doesn’t know when he’ll fight again. There was some talk of matching Rockhold with Gegard Mousasi in July, however, Mousasi’s contract talks with the UFC recently hit a snag and he is now pursuing other offers, sources say. It’s unclear at this time who he will sign with. Rockhold was supposed to fight in November against Ronaldo “Jacare” Souza, but a knee injury forced him out of the fight. He last fought in June 2016 against Michael Bisping when he lost his middleweight title at UFC 199. In May, Rockhold encouraged his fellow middleweights to essentially go on strike after it seemed like current champion Bisping would not fight again until the end of the year due to his own knee injury. The UFC has since booked an interim title fight between top contenders Yoel Romero and Robert Whittaker next weekend in Las Vegas, which is sure to bring a little more clarity to the division. Meanwhile, despite UFC president Dana White recently claiming in several interviews that Georges St-Pierre would be fighting at welterweight next, St-Pierre told MMAFighting.com on Thursday that his plan is to still fight Michael Bisping before the end of the year for the middleweight title. For whatever it’s worth, Rockhold is hoping he’ll be able to return in the fall, and named Mousasi, Anderson Silva, Vitor Belfort and Fabricio Werdum as his wishlist.